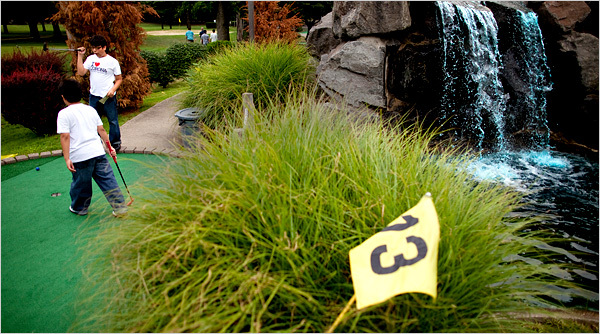 Flushing Meadow Pitch & Putt, Flushing, New York - Golf course information and reviews. A simple par-3 course with a few bunkers and no real trouble to speak of. Yardages range from 40-80, so a 60 degree and a putter is all I needed. The greens were in decent shape (slow, but true in about 80% of cases). There was a dirt section on the back of the 16th green as the only real travesty on a putting surface. Some interestingly sloped greens. Four is tough as the green slopes away from the tee box hard and they usually put the pin at the top of the hill, leaving long putts back. 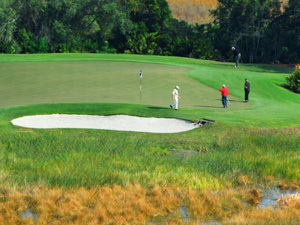 Six is also tough as there is a top ridge (where they usually put the flag) that brings a bunker into play. Playing it safe leads to a long uphill birdie putt. The back is far less interesting. But, all in all, a decent place to hone your short game. Pretty decent course for a pitch & putt. Rather cheap for a solid 2 hours of golf. The move the pin to different locations often so it mixes things up nicely. Consescipon cart drives around the course with beer/snacks. Nice mix of holes, often requiring different shots. Being a pitch & Putt, it is obviously small. Would like to see more bunkers and hazards. Can be a bit of a wait if busy. STRICT 11pm 'lights out' policy. Gave it an 5 Rating (Average) because it is only a Pitch & Putt, and cant compete with a full course. Add a course review for Flushing Meadow Pitch & Putt. 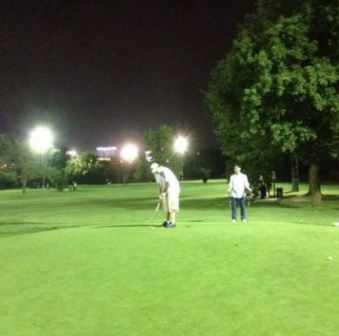 Edit/Delete course review for Flushing Meadow Pitch & Putt.